In modern society, we have professionalized our care for the dying and deceased in hospitals and hospices, churches and funeral homes, cemeteries and mausoleums to aid dazed and disoriented mourners. But these formal institutions can be alienating and cold, leaving people craving a more humane mourning and burial process. The burial treatment itself has come to be seen as wasteful and harmful—marked by chemicals, plush caskets, and manicured greens. Today’s bereaved are therefore increasingly turning away from the old ways of death and searching for a more personalized, environmentally responsible, and ethical means of grief. Is the Cemetery Dead? gets to the heart of the tragedy of death, chronicling how Americans are inventing new or adapting old traditions, burial places, and memorials. 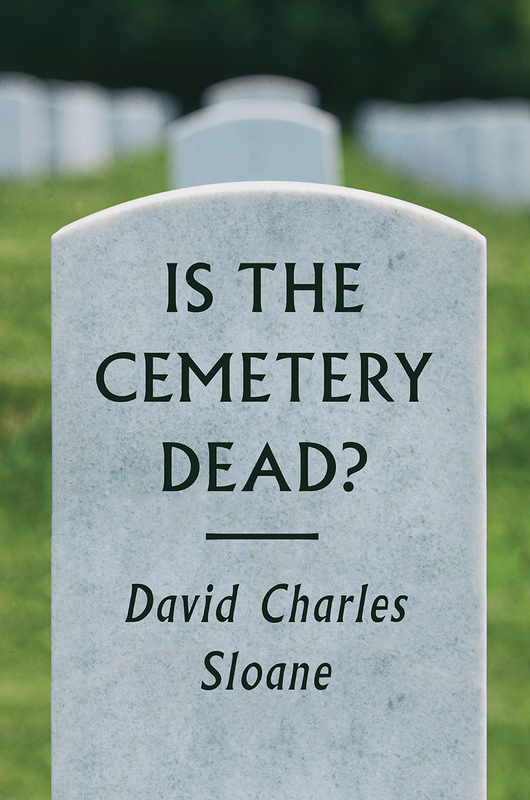 In illustrative prose, David Charles Sloane shows how people are taking control of their grief by bringing their relatives home to die, interring them in natural burial grounds, mourning them online, or memorializing them streetside with a shrine, ghost bike, or RIP mural. Today’s mourners are increasingly breaking free of conventions to better embrace the person they want to remember. As Sloane shows, these changes threaten the future of the cemetery, causing cemeteries to seek to become more responsive institutions. A trained historian, Sloane is also descendent from multiple generations of cemetery managers and he grew up in Syracuse’s Oakwood Cemetery. Enriched by these experiences, as well as his personal struggles with overwhelming grief, Sloane presents a remarkable and accessible tour of our new American way of death.